Isn’t it amazing how many lessons we learn from our children? 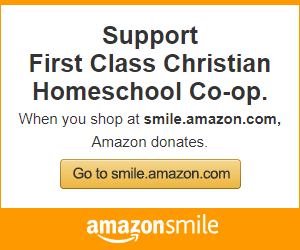 When I began homeschooling, I thought my children were supposed to learn from me. I had no idea that the situation would quite often work in reverse! Over the last few weeks, I’ve learned a really hard lesson. I hope this blesses those of you who struggle with similar situations—especially those who have special needs children. This story began months ago. I found myself becoming resentful about taking care of my 19-year-old daughter who is severely autistic. You see, for 19 years, I’ve been bathing her, brushing her teeth, dressing her, preparing meals and supervising her eating, dealing with her anxiety and meltdowns and resistance to going places and to being around people, taking care of all of her personal needs, dealing with extreme sensory issues and aversions to most kinds of foods, and homeschooling her at the same time. (We tried a public school program for autistic children as well as having her mainstreamed in a regular-ed classroom, but that disaster story will have to wait until another day.) My daughter is completely non-verbal and has very poor motor skills, so she needs the kind of care that most children only require for the first few years. To be honest, I just got tired. It seemed as if one day I woke up and thought, “I simply cannot do this one more day.” I was mentally and physically worn out. I had trouble thinking about how I could keep doing this year after year after year—especially since this isn’t something she will grow out of—it’s a life-long situation. I became overwhelmed and stressed and anxious about it. I tried to pray and ask God to give me a better attitude. I tried to reason with myself. I tried to force myself not to feel resentful or angry. But it didn’t work. Then, a few weeks ago, my daughter suddenly got very sick. The doctor admitted her to the hospital to try to find out what was wrong. (She wasn’t able to tell us what was wrong since she’s non-verbal.) She ended up being in the hospital for a very difficult week. It turned out that she had pneumonia in both lungs and was in a good bit of pain. She had become dehydrated too. That’s when my heart began to soften again toward my daughter. That’s when God reminded me that He loves and cares for me no matter whether I’m grateful or obedient or faithful to Him. He allowed me to see my daughter as He sees me—helpless, not knowing the best way to take care of myself, not understanding at times what is going on around me or why or what to do about it. But just like my daughter was completely dependent on her daddy and me, if I will allow Him, God will comfort me, show me the right path, take care of me…just like my daughter trusts me to do for her. It was at that point that I began to realize what a privilege it is to have a daughter who loves me and trusts me that much! My daughter is much better now and is completely well. In other words, for her, life is getting “back to normal.” I hope, however, that life never gets “back to normal” for me. I hope instead to remember this hard lesson and to continue to understand that, even on the hard days, God is taking care of us. I know I’ll still have times when my attitude isn’t what it should be toward my daughter (or my other children, for that matter). But I also know that God used this situation to change my heart and give me a new love for my daughter. And I hope I never forget this lesson, and that’s why I’m sharing it with you. No, God doesn’t always make the way easy for us, but He always loves us and cares for us. And I’m thankful to Him for reminding me that I’m loved and cared for even when I’m going through difficult times. Would I heal my daughter today if it were possible? Yes! But in the mean time, I love my daughter just the way she is. It is my prayer that, if you are the parent of a special needs child, you will allow God to be your comfort and your strength. You won’t ever be perfect—I’m certainly not. But I believe that God honors our efforts and sees our hearts. And for that I am grateful. Image courtesy of FreeDigitalPhotos.net. “Shoes” by ningmilo. Wendy, this was so beautifully written and so needed to be read by me. Thank you for opening your heart and sharing with us your real and His holy. Meghan, thank you for your sweet comment! Years ago when my daughter was first diagnosed with autism, I prayed and promised God that, if He would show me how to love and care for her, what we should do about medical issues, and what to do about teaching her, I would freely share whatever I learned with other parents of special needs children. 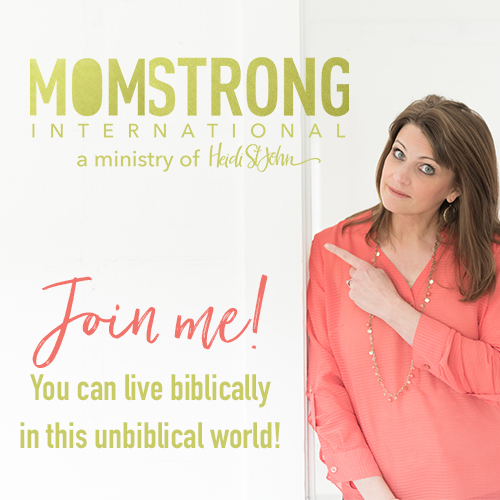 I had no idea that that promise would result in not only encouraging folks in my area but also being a blogger and sharing online with other moms. My prayer is that God will continue allowing me to share with and encourage other moms like you. We need each other! Blessings to you and your family! Beautiful testimony of how God works all things out for good in our hearts, especially. May the Lord continue to give you grace and strength to love and serve your special children as He does for me. Thank you so much, Chanda! I definitely need God’s strength and love, and I’m so thankful to Him for providing what my family and I need. 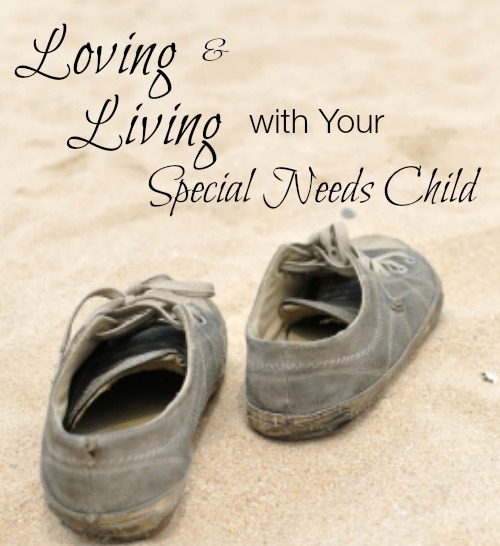 Blessings to you as you love and care for your special needs child too! Thank you so much for this, Wendy. Kendra, you are a wonderful new friend! When we met last April for the first time, I felt like God had orchestrated our meeting just so we could encourage each other. I think of you and pray for you and your family often. I hope we get to meet IRL again some time soon! Thank you, Wendy, for the beautiful words of encouragement. My (22 yr old) daughter has special needs — severe autism, nonverbal, infractory seizures (refractory Epilepsy). She teaches her daddy and I so much about life and love. We are truly blessed to be entrusted with her care. God bless you and your family! Sorry for the typo. Meant to say seizures are intractable (not infractory). Cynthia, I’m so glad to have been able to encourage you! And thank you for encouraging me with your sweet comment! It’s often hard to share about something so personal, and comments like yours remind me that it’s good to share my story even though it’s difficult. Thank you for your comment, Chandra! I’m sorry it took me so long to respond. I was concerned about this post because I didn’t want other moms to think I’m a bad mom for having those kinds of feelings, but then I realized that it’s important to be honest and let other moms know these feelings are normal and that they don’t mean we’re bad moms. And more than anything, they help us learn to rely on God and not ourselves! Blessings to you and your family too. Hugs!